Believe it or not, sometimes I have no idea what to wear. Honestly, I think we all have those days where we just stand in our closets completely blank, not really knowing where to start. So when I find myself having one of those moments, I’ve found that sometimes the best solution is to go back to basics and go with what I “know”. For me, that is a simple top (usually a tank), a favorite pair of jeans, and a pair of pumps. It’s an outfit I always feel good in and it’s typically appropriate for any occasion. Plus, it’s a great blank canvas to change-up with a fun necklace, statement pumps, or other great accessories! And be sure so scroll to the bottom of the post-I’ve got a round-up of the BEST Labor Day sales below (including where you can score my favorite go-to tops, like the one in this post, for 40% off!!!)! Happy holiday weekend, friends! Tank: Express (40% off ALL Tops, Dresses, and Jeans this weekend! Also love these, these, and these for go-to items in my closet!) 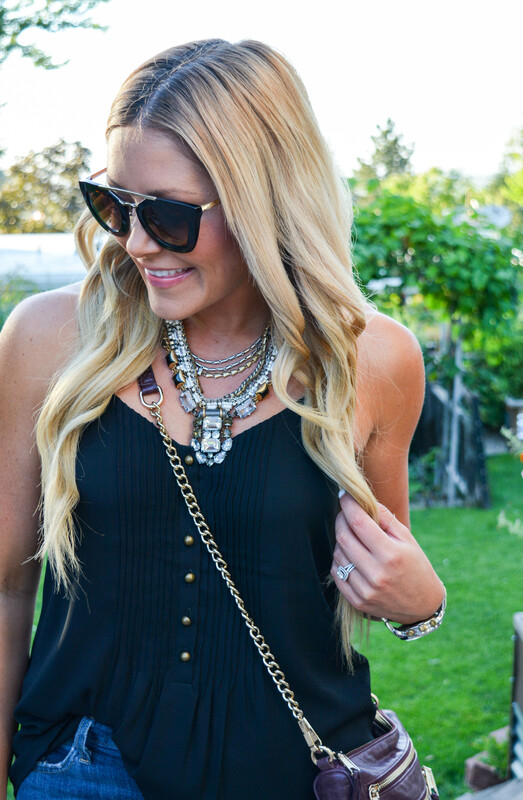 | Skinnies: Joe’s Jeans | Necklaces: Stella & Dot (here and similar) | Cuff: House of Harlow c/o Rocksbox (get one month of free jewelry with code: AllDolledUp!) 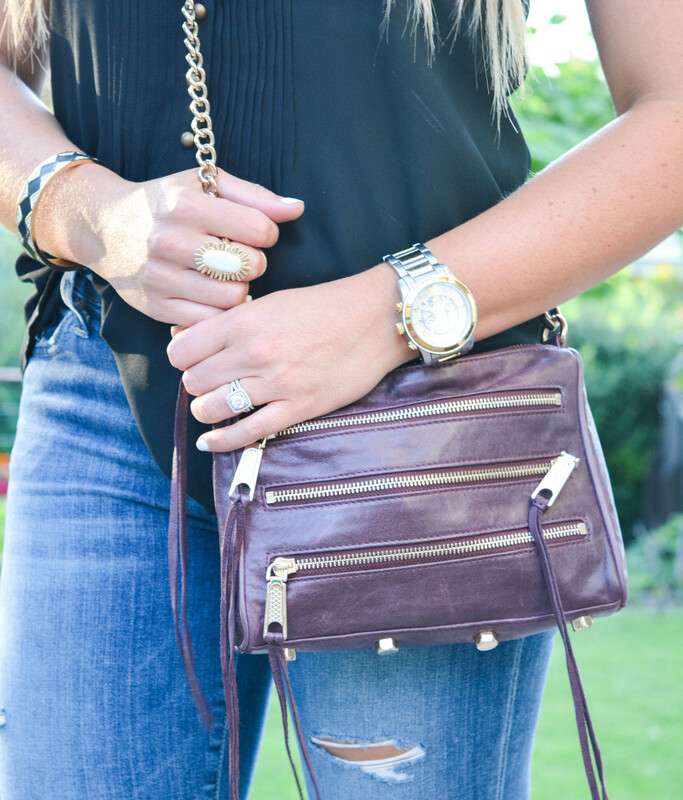 | Ring: Kendra Scott | Bag: Rebecca Minkoff (on sale for under $100!!!) | Sunnies: Prada c/o Ditto (try them for one month FREE with code: ALLDOLLEDUP at checkout!) Pumps: Aldo (old), just bought these and LOVE them! And now for the best part…the SALES!!!!!!!!!!!!! Hope you guys have a fantastic holiday weekend!! !